Heavy overnight rain meant the Monte Carlo streets were wet when the race was due to start. Wet tyres were bolted to the cars and the Grand Prix began under the safety car, which stayed out for seven full laps. When the action got underway, polesitter Ricciardo made a good start, and had the advantage of good tyre strategy, but a miscommunication in the pits meant he was delayed waiting for fresh tyres which robbed him of a win. Meanwhile, Lewis Hamilton stayed out on wet tyres for as long as possible, meaning he could change directly to the dry compounds. 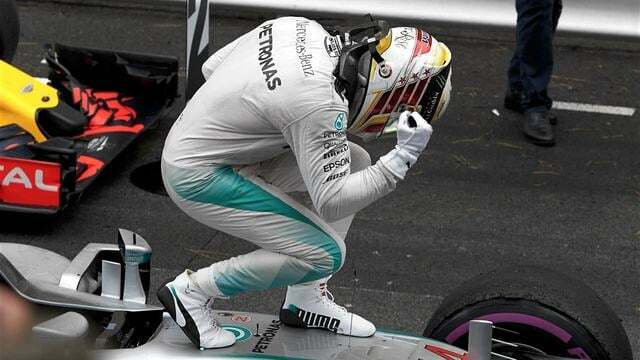 That, along with an awkward moment where Rosberg had to let him past, meant the Brit could go on to take victory. Sergio Pérez joined the pair on the podium. Teammates not being so kind to each other included the Sauber duo, who crashed into each other. Jolyon Palmer was the first driver to crash into the barriers, followed by Kimi Räikkönen. Kevin Magnussen and Max Verstappen also spun out of the race, whilst Daniil Kvyat retired after a collision.